Full title: Adapting the Model for Information Literacy and Cultural Heritage in Cape Town: investigating user attitudes and perceptions in libraries, museums and archives. Abstract: “Adapting the Model for Information Literacy and Cultural Heritage in Cape Town: investigating user attitudes and perceptions in libraries, museums and archives”, by Kim Baker, investigates the attitudes and perceptions of general public adult users of the City of Cape Town public libraries, Iziko Museums of South Africa, and the Western Cape Archives and Records Service in Cape Town towards cultural heritage, information literacy and learning in order to adapt the Model for Information Literacy and Cultural Heritage for Lifelong Learning to the Cape Town context. A generic Model for international use was developed for the book Information Literacy and Cultural Heritage: Developing a model for lifelong learning. (Baker, 2013). The adaptation of the generic model is a necessary preliminary step before designing courses to teach information literacy and cultural heritage to the general public in a given local context and in an integrated manner, with public libraries, museums and archives collaborating and co-operating to provide the training together. The investigation was conducted by means of survey questionnaires, which applied within-method triangulation of quantitative and qualitative questions, and a combination of Yes/No answers, Likert scale questions and multiple choice questions. The survey questionnaires included the demographic categories of race, gender, age group, home language, level of education, religion and employment status in order to gain an understanding of the demographic profiles of users necessary to the application of training in cultural heritage to different cultural groups. Questions were grouped into sections, with Section A asking questions pertaining to understandings of cultural heritage, Section B investigating whether users had access to the Internet at home, and if so, how much bandwidth was available to them; Section C explored information seeking and evaluation (information literacy) patterns, and Section D explored learning behaviours and preferences. Section E explored whether users of the public libraries also used museums and archives, why or why not; whether users of the museums used public libraries and archives, and why or why not, and whether users of the Archives used public libraries, and why or why not. At the public libraries, 480 respondents across the branches of Central Library; Athlone; Milnerton; Moses Mahbida; Grassy Park; Belville; Harare; Somerset West; Brackenfell and Town Centre, Mitchell’s Plain, completed the questionnaires. 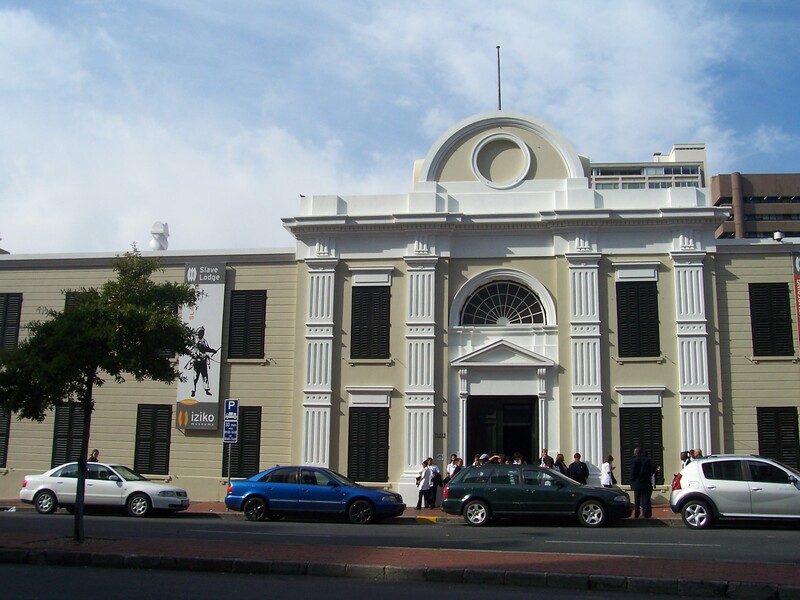 At Iziko Museums, 220 respondents across the sites of the South African Museum, and the Slave Lodge completed questionnaires. At the Archives, which has only one site, 25 respondents completed the questionnaires. The surveying was conducted using the convenience sampling method. The data was analyzed using Microsoft Excel 2010, by means of non-parametric, descriptive statistics and presented in graphic format. Following the interpretation of the results, and as a result of this study, recommendations were made for the adaptation of the Model of Information Literacy and Cultural Heritage for Lifelong Learning to apply to the context of Cape Town. Iziko Slave Lodge, Cape Town. The next phase of this work was to have been to write and publish an open access book on how to design courses and implement them. Unfortunately, it is not possible for me to continue with this work, as it is not financially sustainable, (all of this work and research for the past 3 years has been self-funded). In addition, a completely new and wonderful direction has emerged in my personal life, which I am now pursuing instead. I thus left the LIS profession in South Africa in December 2014 after a review of my circumstances, and have now moved on to new endeavours. For those employed in the profession, who may be interested in the above study, a PDF copy of the thesis (file size 14.4 MB) can be downloaded here. I have noticed that this Blog is still receiving quite a bit of traffic, mostly from overseas, but also some locally, and while this will be my last post to this Blog, I will leave the Blog up for a while still, until the traffic drops off. This entry was posted in Archives, Cultural Heritage, Information Literacy, Libraries, Lifelong learning, Museums and tagged Archives, Cultural Heritage, Information Literacy, Kim Baker, Libraries, Lifelong Learning, Museums. Bookmark the permalink. I hope this email finds you as it leaves me, both healthy and happy. I’m not at all certain you will remember me, but we corresponded both via letter and through the ether in 1993-5, and after all these years, I still make the mussels/spinach/pasta recipe you sent me. Recently, a television program has been broadcast here, and it made me wonder what became of you.. In any event, I recall our correspondence fondly and thought to reach out. I’d love to catch up if that has any interest for you.